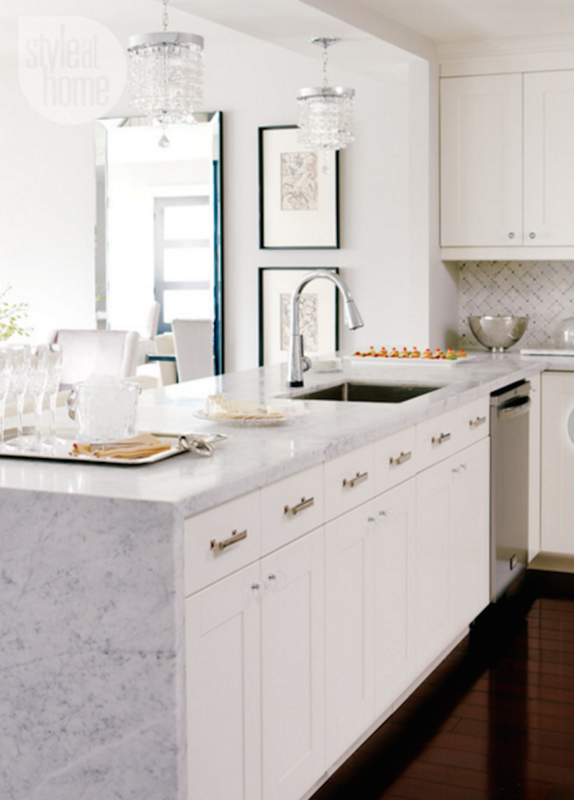 If you could design your dream kitchen, what would it include? A walk in pantry, top notch wine fridge, hidden appliances? All of those are on my list. I literally dream about kitchen renovations sometimes. 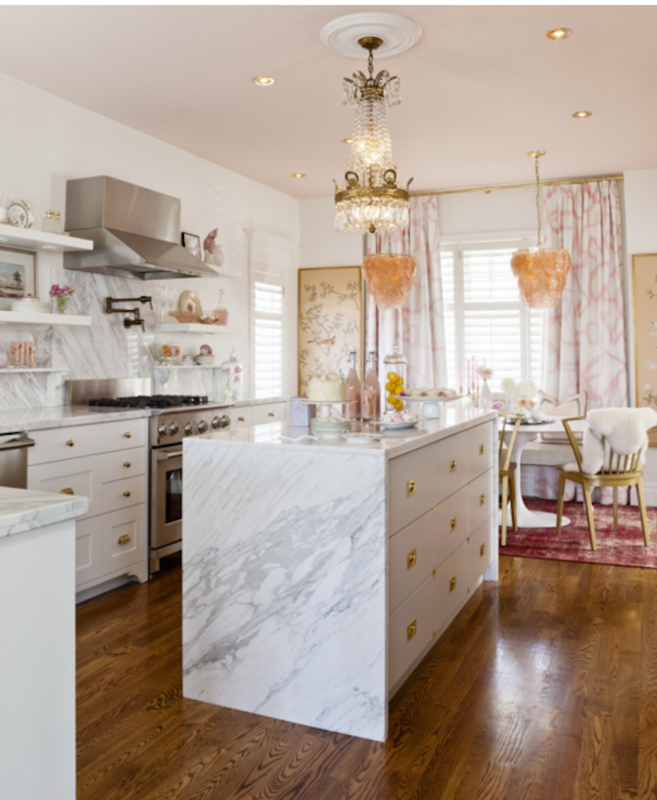 Instead of counting sheep when I can’t sleep, I’m creating lists in my head of must have features in my dream kitchen – and this waterfall island is at the top of my list. 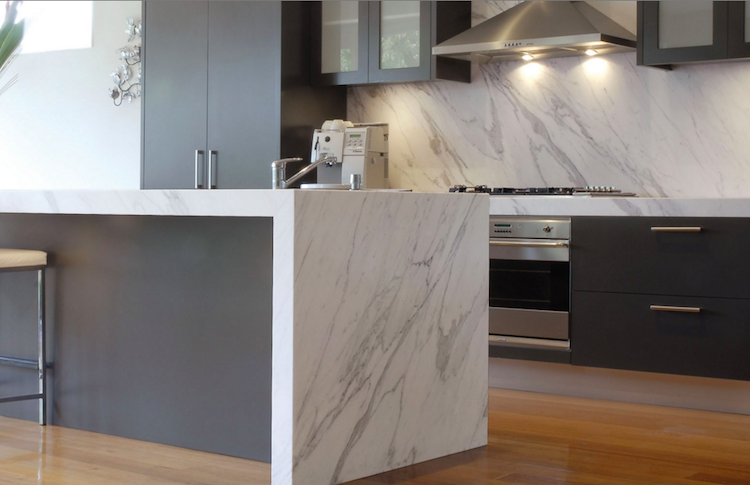 In case you’re wondering, waterfall islands, also called waterfall countertops, are a beautiful design where the countertop seamlessly and continuously flows to the sides. “Falls off the edge” so to speak. There are many functional things on my wish list for my dream kitchen. The waterfall island is solely on there for aesthetic. It’s like a piece of art to me, with the right stone (or other material) of course. 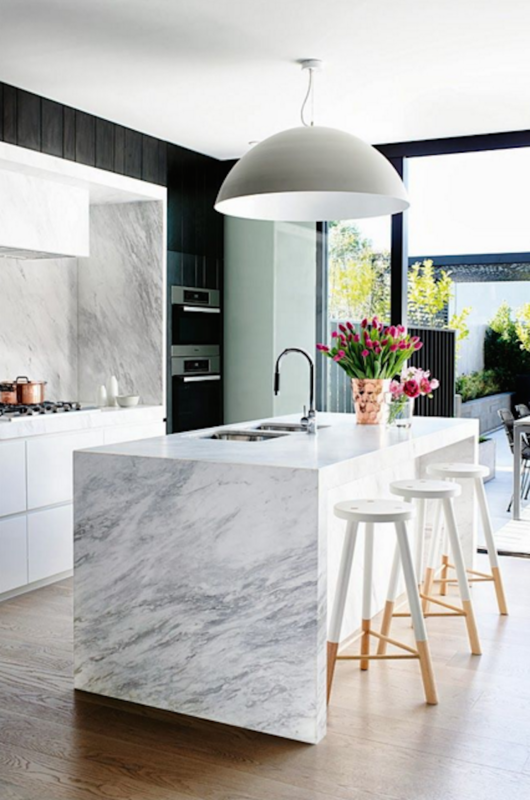 My dream kitchen also includes marble. Not always practical in a kitchen, but I swear………. I’ll be SO careful!! Lemons and limes…beware. I love the lines in various grays that just flow down seamlessly on this waterfall island. Can’t go wrong with a classic black, gray and white color scheme. Gorgeous design. 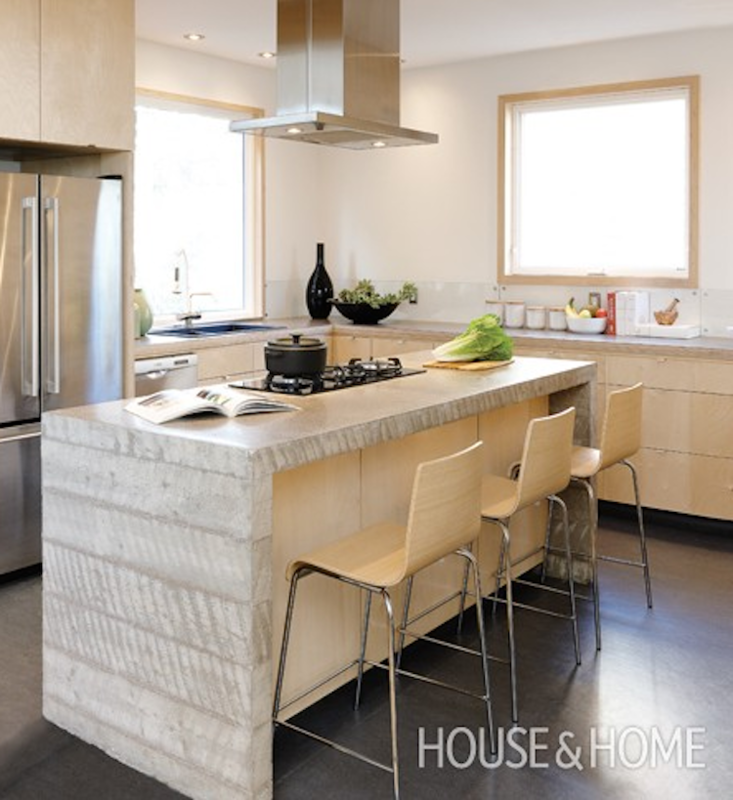 That backsplash though….. hmmmm.. This kitchen! Isn’t it beautiful? The gold accents and feminine touches are just so pretty. 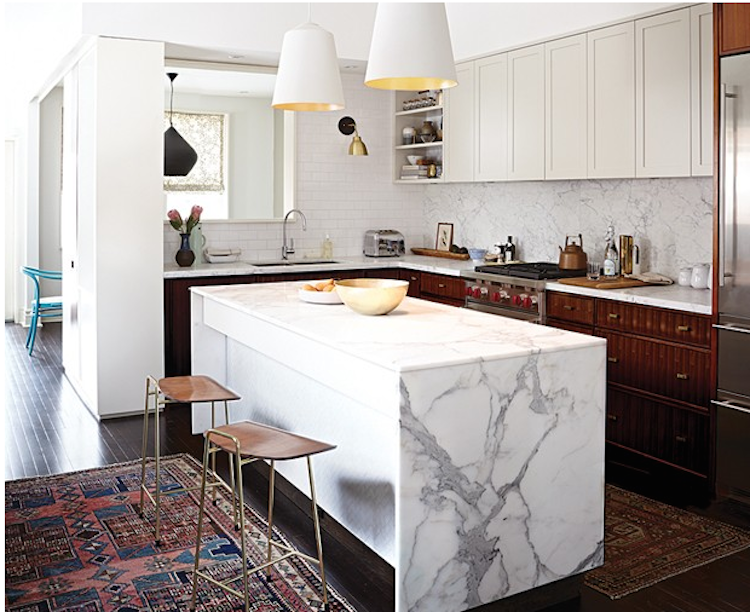 And, more marble – YES please! So, if you had the choice, would you waterfall? 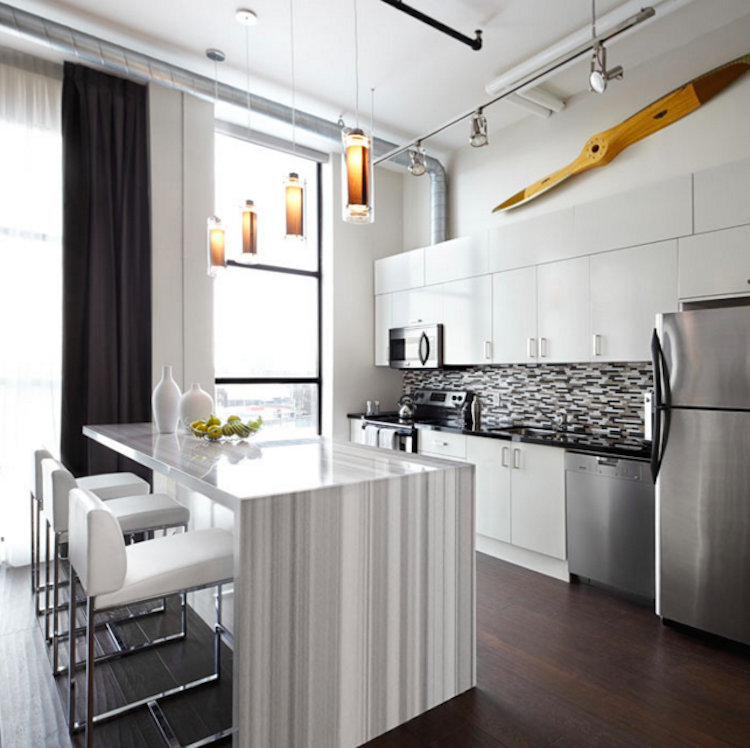 Thanks for stopping by and be sure to check out more design inspiration here! Your Blog is so good! Your blog are always very helpful to me.